Mierle Ukeles, Bank workers, Visitors of Whitney Museum, citizens of New York. 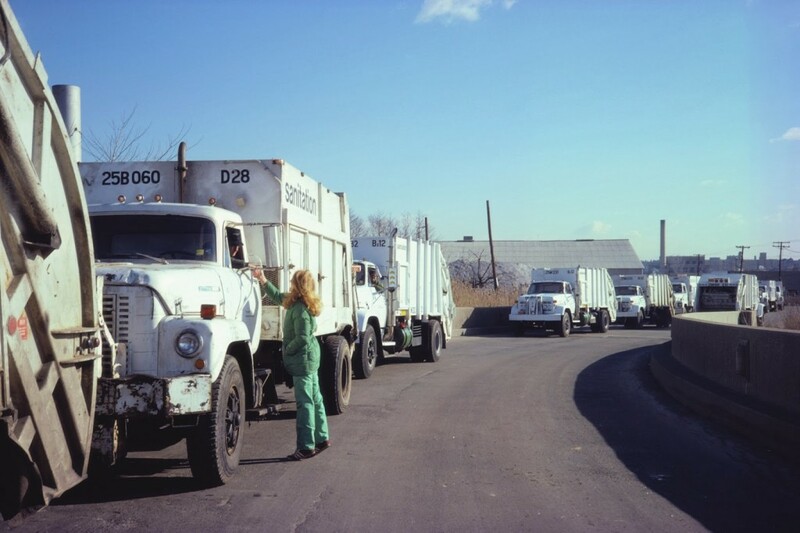 Whitney Museum of American Art / New York Department of Sanitation. Mierle Laderman Ukeles collaborated with 300 hundred maintenance staff at a bank in Manhattan. She took Polaroid photographs of men and women doing routine jobs and asked them to discuss their labor as either art or work. Jobs were often discussed by the same person, at different times, in different ways. Later, she exhibited the workers' narrative statements alongside pictures of their daily chores. In 1976, Ukeles accepted an unsalaried position as artist-in-residence with the New York City Department of Sanitation. She proposed to do work that would incorporate dialogue, community participation around life-centered issues, and ecological sustainability. She asked viewers to challenge the social constructions of aesthetic and cultural values that define what work and art mean and provided visitors and citizens with points of access to issues of urban waste management.